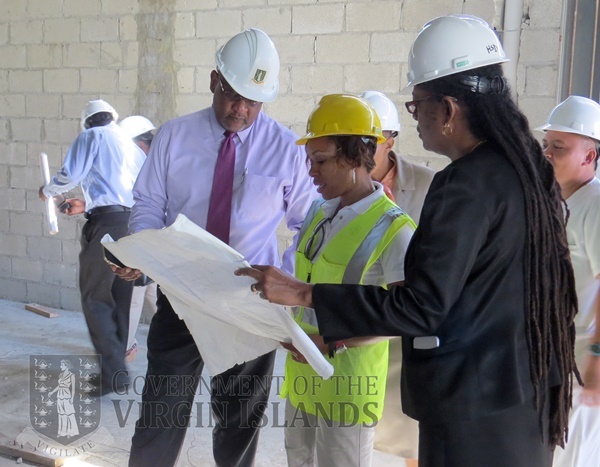 Minister for Health and Social Development Ronnie Skelton said he is pleased with the progress being made on the new Iris O’Neal Medical Centre on Virgin Gorda, adding that he is looking forward to the completion of the project in September. 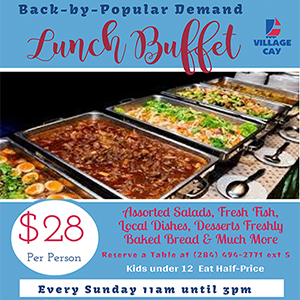 He made the comment following a February 1 site visit led by the project contractor, James Todman. According to the Government Information Service, Todman ‘confirmed works are expected to be completed by September’. The steel frame and columns are already completed. The next phase involves block work, followed by the installation of windows and roofing. Upon completion, the Iris O’Neal Medical Centre will be a two-story structure, measuring approximately 20,000 square feet. The first floor will include urgent care, pharmacy, X-ray and laboratory services. 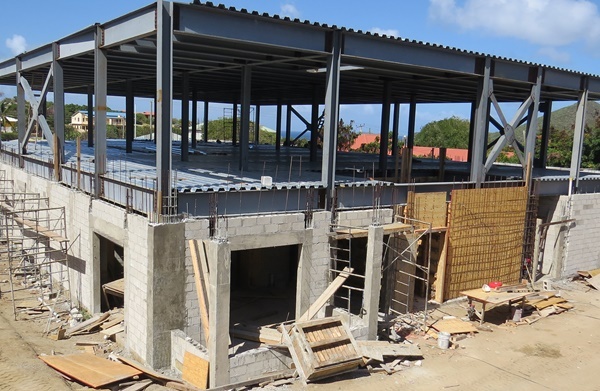 The second floor will include dentistry and physical therapy services, in addition to consultation and examination rooms. 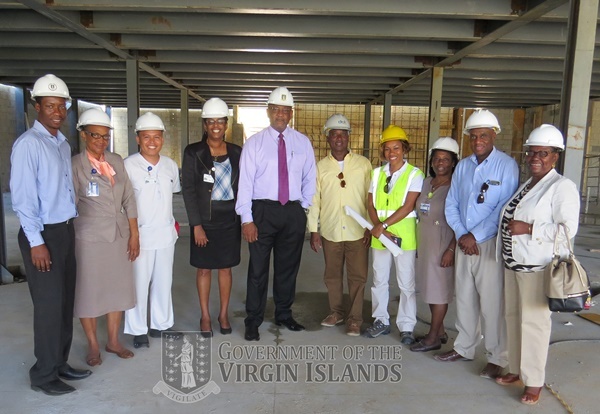 “The medical centre – once completed – will better facilitate the health needs of Virgin Gorda residents,” Skelton said. The new Nurse Iris O’Neal Medical Centre is an important component of the Government’s holistic national health strategy, which seeks to increase access to affordable, high quality health services. The original contract sum was $5,969,687. But it was increased by $116,690 when the scope of works was varied to include additional earth works and other necessary modifications. The total cost now stands at $6,086,377.